What does it take to be financially abundant? Is it being at the right place and time and knowing the right people? Is it working really hard? Or is it working smart and mobilizing and utilizing powerful inner resources to help you create that financial abundance you deserve and desire? I believe it may be all of the above. However, in order to get to that right place at the right time, you may need to change your mindset. For example, how are you going to create financial abundance if you believe deep in your heart you don’t deserve it? Or, how are you going to meet the right people if you lack confidence and keep procrastinating only to realize that that tomorrow never comes? We can be savvy about investing and finances, know the right people and be at the right location, but when it comes right down to it, if we lack the appropriate mindset our chances are slim to none at achieving financial abundance. I will help you create the appropriate mindset to enable you to achieve your financial abundance goals. I specialize in helping people remove the blocks that keep them stuck and not achieving their goals. 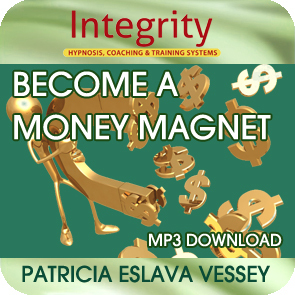 Using hypnosis and Neuro Linguistic Programming (NLP), you will learn how to change your beliefs about money so you will attract more of it in your life. With my help you will remove blocks and limiting beliefs. I will support you in setting powerful goals and a compelling, abundant future. As I support you, I will coach you while holding you accountable in achieving those goals. And I will help you improve your confidence and create habits necessary to achieve your goals. Work with me on an individual basis or take one of my popular classes. In this financial abundance with hypnosis class you will learn to use the power of your mind to eliminate blocks and create powerful inner resources to enable you to better manifest the wealth you desire. In this class we’re going to blast through your resistance, we will transform those limiting beliefs and equip you with determination and a vision to achieve your goals. You will leave with confidence, courage and determination to create the financial abundance you desire. 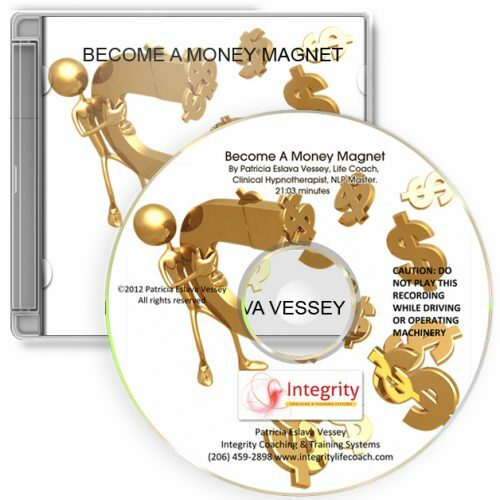 Contact us today and begin building your financial abundance now. Sign up for our classes on the calendar. 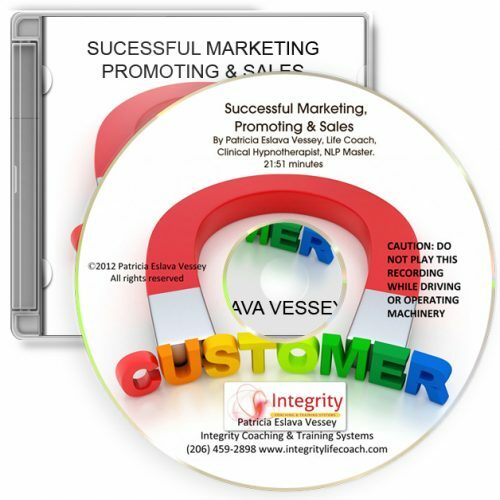 “I worked with Patricia on addressing “call reluctance” and experienced immediate results!